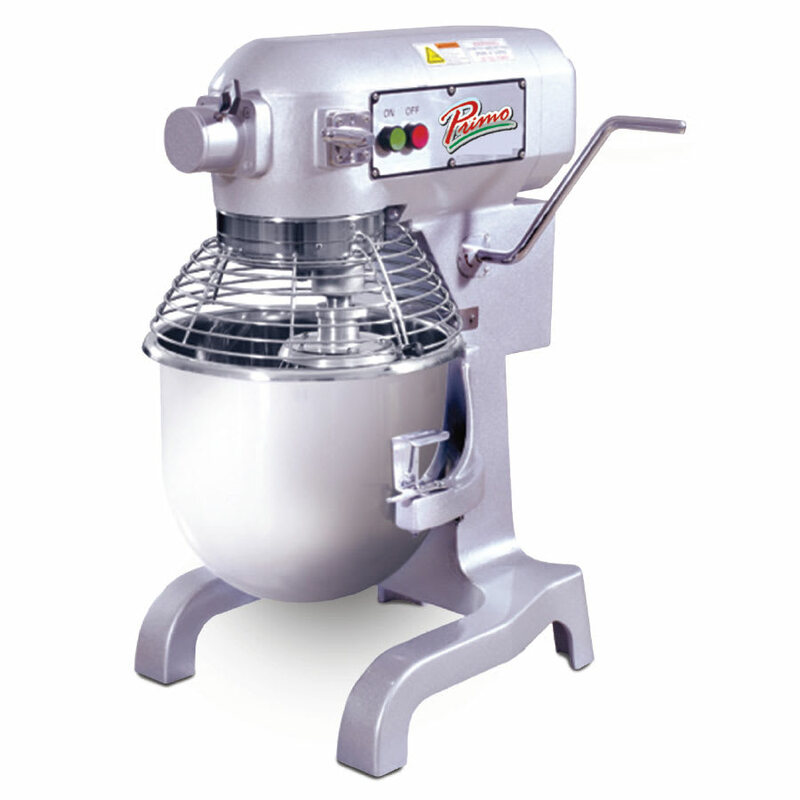 The Primo PM-20 planetary mixer operates at three speeds: 108, 195, or 355 rotations per minute. It has a durable, easy-to-clean stainless steel bowl with a 20-quart capacity. A bowl guard covers the open portion of the bowl to prevent dough from being slung out and, when it is not closed, a safety interlock switch prevents mixing. A stainless steel wire whip, aluminum flat beater, and dough hook are included. The Primo PM-20 mixer has a #12 power hub that accepts different attachments. The controls are side mounted with separate buttons for starting and stopping. 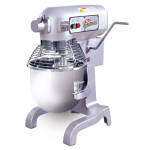 In-depth information on these units can be found in the planetary mixers buyers' guide. "Cheap metal, leg broken. See picture"